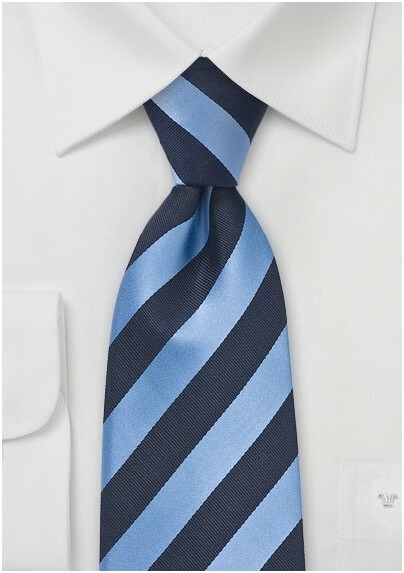 Take luxury to the next level with this modern and refined striped tie in shades of luxe blues. The classic color combination of dark and light blues is a timeless trademark of good taste that can be worn anyplace and anytime. The Puccini Fashion Label designs this line of well made striped ties made from a top notch microfiber that is stain resistant and wrinkle free. 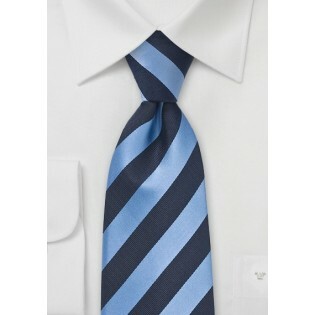 This high end fashion accessory is sure to dress up any blazer and any suit you own.